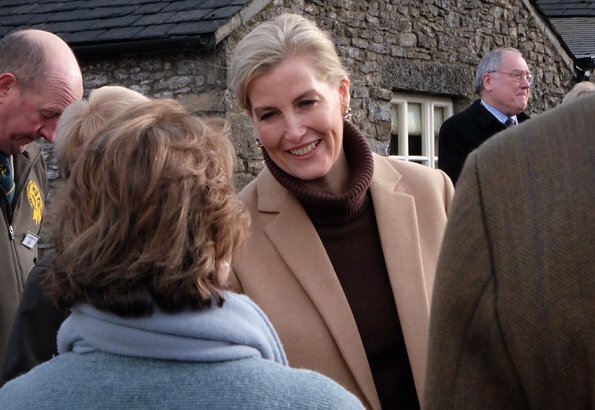 On February 6, The Countess of Wessex visited Cumbria for a number of engagements. Cumbria is a non-metropolitan county in North West England. 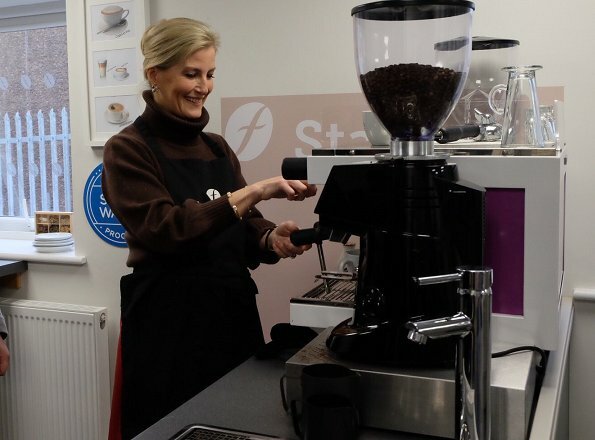 The Countess firstly visited Farrers Coffee, which celebrates 200th anniversary of its establishment. 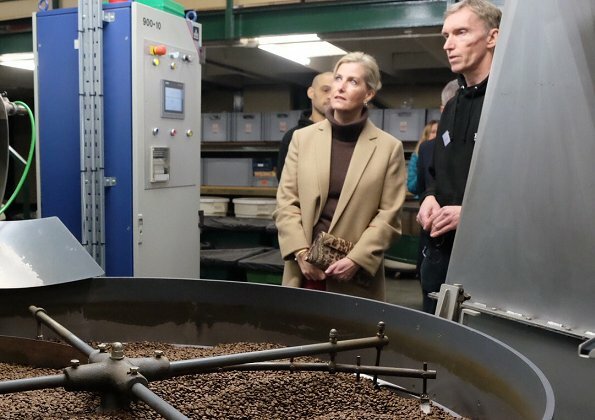 The Kendal-based business is the UK’s oldest coffee roaster. 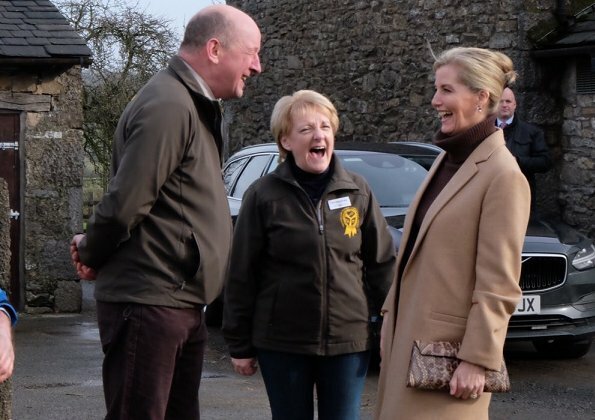 In Cumbria The Countess also visited Bendrigg Trust, an outdoor learning centre for people with disabilities. 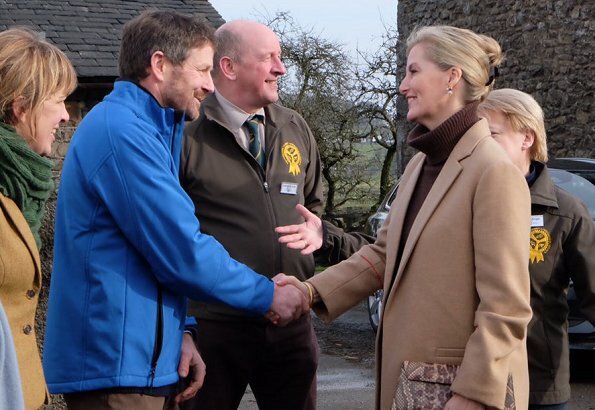 Finally The Countess attended the judging of The Westmorland Agricultural Society’s Annual Silage Competition. The Countess became President of the Society last year. The older she gets , the more truly royal she becomes . Very well said, and I totally agree. She is such a natural, and my favorite royal along with CP Mary. She is lovely. Classy, elegant and dependable. She never seeks the limelight yet she always shines. I really like and respect Sophie. 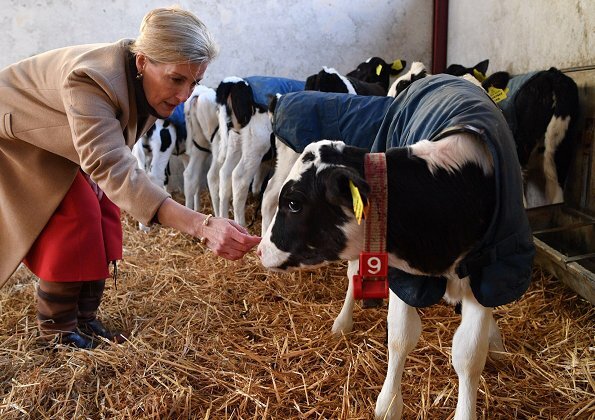 She sets a good example for the ideal royal wife and mother. Sophie is a definite asset to the Royal Family. She never seems to put a foot out of place. I love her choice of colors and style for this outfit. Fits in perfectly for her duties. 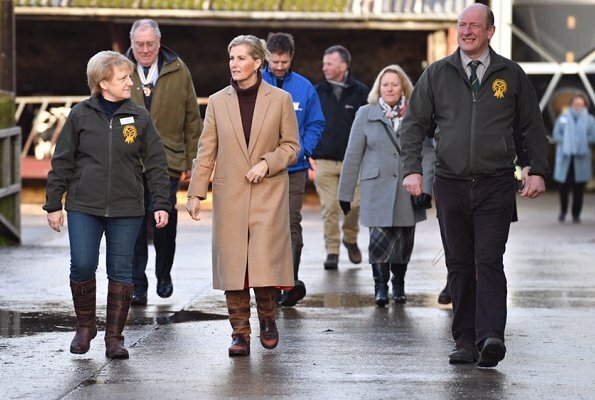 I love that Sophie wore her hair up, and the combination of the brown turtleneck with the tan coat is beautiful. Love this outfit and the warm colors, she does her job perfectly. 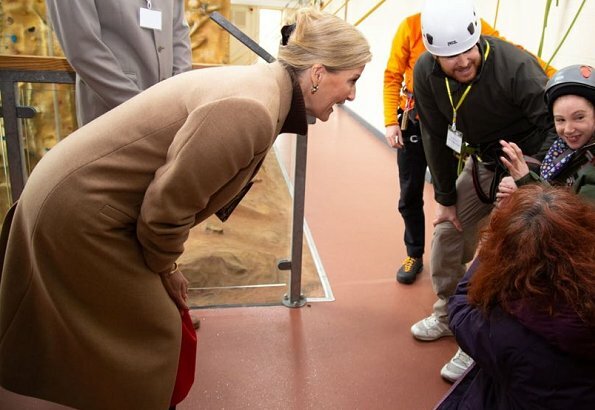 I'm just curious to know, what is she looking at in photo , and why have some men hard hats on?